ASCP LabQ offers an easy way to earn credits toward Credential Maintenance. 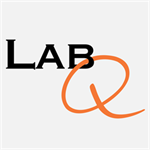 LabQ is an online self-paced study tool composed of 18 real-life case studies designed to provide education specifically for practicing laboratory technologists. The cases present challenges faced in the lab and demonstrate how the laboratory professional or team resolves these problems.